Dr. Dominic D’Agostino, a researcher and assistant professor with the University of South Florida Morsani College of Medicine, said “cancer is starved” by eating a diet that is restricted in carbohydrates but high in certain fats. The patient then receives hyperbaric chamber treatments, in which oxygen has a further toxic effect on the cancer cells, explaining a possible one-two punch to knock out cancer. 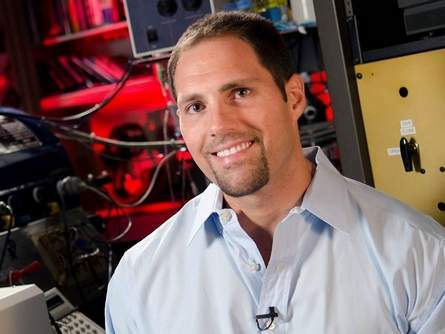 D’Agostino began research nine years ago involving metabolic therapy and hyperbaric oxygen to help Navy SEAL divers avoid seizures from oxygen toxicity. A 10-year-old boy with a cancerous brain tumor who had already received a battery of traditional conventional radiation therapy has gotten positive results from this. The youth responded “remarkably” to the combination of diet and hyperbaric treatment. The diet mimics fasting and can lead the body to a state of “ketosis” — which Web MD states is a condition when the body burns its own fat for fuel. “Ketones are substances that are made when the body breaks down fat for energy. Normally, your body gets the energy it needs from glucose (sugar),” the website states. “Cancer cells use glucose (to grow) but ketones can’t readily be used by cancer cells,” D’Agostino said. “(Certain) levels of oxygen (are) toxic to cancer,” he said, adding that the hyperbaric chambers are now used to promote healing in cancer patients undergoing radiation therapy. Researchers at The University of Texas MD Anderson Cancer Center has unearthed a previously unknown phenomenon. They found that important regulatory molecules are decreased when deprived of oxygen, which leads to increased cancer progression in vitro and in vivo. As tumors grow, they can outgrow their blood supply, leaving some of the tumor with areas where the tissue is oxygen starved, a condition known as tumor hypoxia. Conventional wisdom would suggest the lack of oxygen would slow growth. However, the opposite is true. Hypoxia leads to tumor progression. Cancer cells greatest vulnerability is oxygen since it is a deficiency of oxygen that initiates the cancer process. Cancer hates high levels of oxygen. Oxygen makes cancer cells weak and less resistant to treatment. Cancer cells low in oxygen are three times more resistant to radiotherapy. Restoring oxygen levels to that of a normal cell makes the tumors three times more sensitive to treatment. Tumors having large areas with low levels of oxygen (areas known as hypoxic regions) are associated with poor prognosis and treatment response. Intensifying a patient’s oxygen status will add significantly to the effectiveness of other cancer treatments both natural or toxic chemotherapy. Physicians just do not want to admit it but breathing is the core driver of all physiology. It is that important because it is that close to the beat of life from one moment to another. Oxygen and carbon dioxide both are the most basic nutrients the body needs from second to second and water comes in right behind these two most necessary gasses. So one can treat cancer directly with profound changes in breathing. Mediation and yoga deal deeply with breathing but one can train the breath independent of these traditions. I recommend at the entry level the Breathslim device (originally called the Frolov device for asthma patients and weight loss developed in Russia.) For full breathing training and coaching, I highly recommend Michael Grant White over at breathing.com. Low-level electromagnetic fields are known and used to halt cancer cell growth. 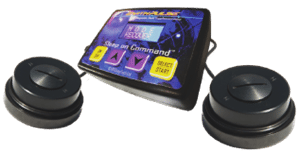 Pulsed Magnetic Field Therapy (PEMF) is FDA approved to promote the healing of non-healing bone unions and has been used in Europe for over 20 years in 400,000 sessions with individuals with cancer, migraines, sports related injuries, wound healing and other pain syndromes. PEMF-based anticancer strategies represent a new therapeutic approach to treat breast cancer without affecting normal tissues in a manner that is non-invasive and can be potentially combined with existing anti-cancer treatments. Costa et al (2011) reported surprising clinical benefits from using the specific EMF signals to treat advanced hepatocellular carcinoma, stabilizing the disease and even producing partial responses up to 58 months in a subset of the patients. Now Zimmerman et al have examined the growth rate of human tumor cell lines from liver and breast cancers along with normal cells from those tissues exposed to AM-EMF. Reduced growth rate was observed for tumor cells exposed to tissue-specific AM-EMF, but no change in growth rate in normal cells derived from the same tissue type, or in tumor or normal cells from the other tissue type. In layman’s terms, low-frequency pulses create a brief, intense voltage around each cell. The mitochondria within the cell grab some of this energy. This, in turn, makes the cell more efficient at producing ATP and delivering oxygen throughout the body. PEMF therapy supports the metabolism and increases the blood flow by dilating micro capillaries throughout the whole body allowing all cells to breath and function better. 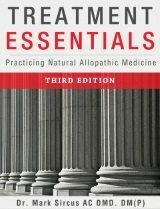 Eight months after initially experimenting with Deta Elis, and frustrated because I could not afford a professional Deta Elis, which puts out a signal 300 times more powerful than what the personal battery operated devices do, I settled on an entirely different device for my patients and myself. What I chose and am happy using is the EarthPulse machine that puts out earth & Schumann frequencies around the 10hz area. It is a low cost but extremely powerful machine that is designed to use all night long while one is sleeping. Unlike more expensive pulsed electromagnetic field systems, these long nightly sessions are where the magic of the EarthPulse occurs. EarthPulse has numerous reports of waking saturated blood oxygen increasing levels by 5% in just a few days. EarthPulse allows magnetic field supplementation through footwear, clothing, or at nighttime through your mattress or pillow. PEMF reduces inflammation via a number of mechanisms including restoration of cell membrane homeostasis, attenuating pro inflammatory cytokine Interleukin-1beta (IL-1β) by 10-fold, by reducing expression of major pro-inflammatory genes and increasing expression of anti-inflammatory genes. 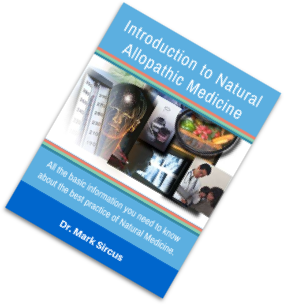 It is very interesting to read and understand that increased oxygen will increase alkalinity and rises in pH will track rises in cellular voltage, which is vital for healing. Energy can be added to the body in many ways but nothing is more direct than oxygen and sodium bicarbonate in doing so. Bicarbonate instantly raises carbon dioxide, which raises oxygen transport and delivery. This is exactly what you want to do when treating cancer. You want to blast cancer cells with oxygen. 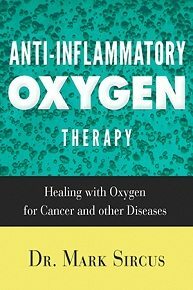 Anti-Inflammatory Oxygen Therapy introduces oxygen itself as the ultimate chemotherapy. It improves delivery of the most important substance for tissue life and repair. The body’s ability to transfer oxygen to the cells becomes damaged as we age. When oxygen pressure falls, there is not enough pressure to push the volume to a usable state inside the cells. The most intense form of oxygen therapy is when one exercises and pumps in massive amounts of oxygen at the same time. Originally called EWOT (Exercise with Oxygen Therapy) Anti-Inflammatory Oxygen Therapy takes that to a new level. The new system employs a simple improvement over both hyperbaric chambers and Oxygen Multi Step Therapy (EWOT) that insures the maximum amount of oxygen gets to where it is needed the most—to damaged and inflamed tissues. Special Notes: Doctors in Brazil have found that pulsed electromagnetic field exposure relieves the effect of microwave exposure by inducing Faraday currents. Electromagnetic fields are recognized as hazards that affect testicular function by generating reactive oxygen species and reduce the bioavailability of androgen to maturing spermatozoa. 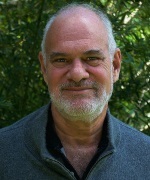 Thus, microwave exposure adversely affects male fertility, whereas pulsed electromagnetic field therapy is a non-invasive, simple technique that can be used as a scavenger agent to combat oxidative stress. Neutrophils spreading (white blood cells) is strongly inhibited when pHi is at acidic values. Our results indicate that neutrophils release superoxide upon spreading, generating a burst of intracellular acid production. Since several functions of neutrophils are inhibited at an acidic pHi, the coordinated activation of pHi regulatory mechanisms is essential for sustained microbicidal activity. Low oxygen, low pH and low cell voltage are tied to each other in mathematical relationship. Adding bicarbonate, oxygen, electromagnetic waves, electric currents and even carbon dioxide (which increases oxygen) will go a long way in strengthening the immune system and its ability to fight infections. Clinics (Sao Paulo). 2011;66(7):1237-45. The therapeutic effect of a pulsed electromagnetic field on the reproductive patterns of male Wistar rats exposed to a 2.45-GHz microwave field. Kumar S1, Kesari KK, Behari J. The regulation of the intracelluar pH (pHi) during spreading of human neutrophils. J Cell Biol. 1996 Jun;133(6):1391-402. Intracellular pH regulation during spreading of human neutrophils. Demaurex N1, Downey GP, Waddell TK, Grinstein S.